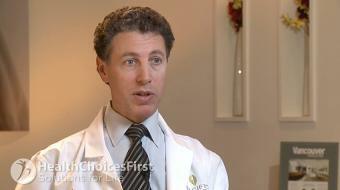 Dr. Jan Peter Dank, MD, Dermatologist, discusses What are Your Treatment Options for Psoriasis. What are Your Treatment Options for Psoriasis Dr. Jan Peter Dank, MD, Dermatologist, discusses What are Your Treatment Options for Psoriasis. Psoriasis is a chronic condition; so you have to come to it understanding that you’re trying to bring this condition under control, not cure it. Usually, the first step is to use topical cortisones on the skin. The most effective of these will be prescription medications. The type of cortisone and the strength needs to be proportionate to the type of skin, more delicate skin not taking the strongest cortisones well. And it’s often important to use the right vehicle to get the medication to the skin. So ointments and creams work well on the body but not very well on the scalp. So on the scalp, lotions and solutions and foams. 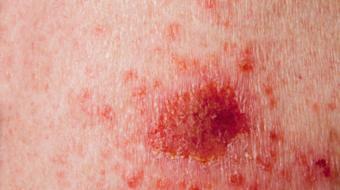 Psoriasis treatment depends upon the location of the body and the severity of the disease. It usually starts with topical prescription cortisones. These medicines are applied to the area of the skin, and what strength is used and what form they come in depends upon the skin area being applied to. For the body and face, creams and ointments work well. You need to use stronger cortisones on the body that don’t do so well on the face, whereas, some areas like body folds or scalp may take special vehicles like solutions, lotions or foams to deliver the medication to where they need to go. The next step up from cortisones alone, are adding second agents to the cortisones to enhance the effectiveness of the cortisone treatment. These are usually used not to replace the cortisones but in addition to the cortisones. So they complicate the therapy. Most of these agents are either derived from vitamin A or from vitamin D.
There are also ways to treat psoriasis using phototherapy. A medication called sorion can be added to UVA light to effectively treat psoriasis in the skin, and narrow wavelengths of ultraviolet B can reduce the inflammation of psoriasis in the skin. This takes going to a phototherapy treatment center where they have this equipment on a several-time-a-week basis. 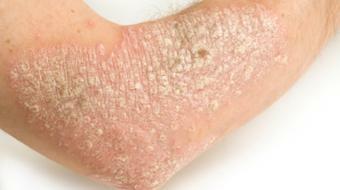 For more serious psoriasis, we have to sometimes resort to internal medications. There is an oral retinoid called acitretin that can be used to treat psoriasis, and there is an immunosuppressive medication called methotrexate that can be used long-term to control psoriasis. The newest players on the blocks are agents called biologics. These are very expensive new medications, usually highly successful in treating the severe psoriasis, and they’re all given as either intravenous injections or shots. If you think you may have psoriasis or want more information about psoriasis, please see your primary care physician or a dermatologic specialist to get properly diagnosed and treated.